Marjorie A. 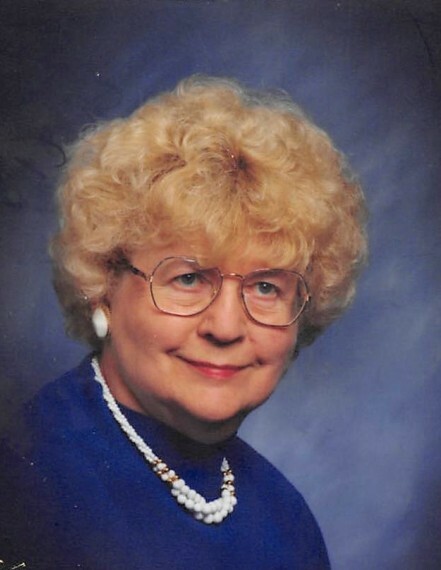 (nee Elstrom) Pozzi, age 93, passed away Wednesday August 22, 2018 at the Parc of Joliet. Survived by her two children, Steven (Tammi) Pozzi and Gina Zweeres; three grandchildren, Ryan Zweeres, Carly (Rich) Swiatek and Lynn Sheard; two great grandchildren, Sebastian and Stella Swiatek; numerous nieces and nephews also survive. Preceded in death by her husband, Gene E. Pozzi; infant granddaughter, Jamie Sue Pozzi; parents, Frank and Ann (Lofdahl) Elstrom; and one sister, Elaine Johnstone. Born in Joliet and a lifelong resident. Co-owner of Pozzi Insurance Agency. Member of St. John Lutheran Church, Martha Circle and active with Salem Village and the Salvation Army for many years. The family would like to Thank the staff at the Parc of Joliet and Compassionate Care Hospice. Memorial Service will be held at St. John Lutheran Church on Friday, September 21, 2018 at 11:00 a.m. Private Inurnment at Elmhurst Cemetery. In lieu of flowers memorials to Compassionate Care Hospice would be appreciated.